Does atom smasher have a prayer of finding God Particle? 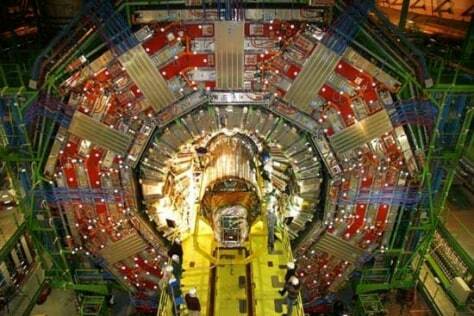 The Compact Muon Solenoid, one of the detectors on the Large Hadron Collider, weighs more than 12,000 tons. The collider, a 17-mile-long underground ring near Geneva, is set to start up again.